Celtic Cotton is manufactured in Ireland. It’s 100% Pure Organic Cotton sourced and produced in Ireland, featuring no seeds, no discolouration and little to no break in time. It’s also ready to use out of the packet, with nothing to peel off before you begin using it, and it’s touted as being very easy to work with, with the ability to just tear off your desired lengths of cotton rather than needing to cut it. What is Celtic Cotton made from? 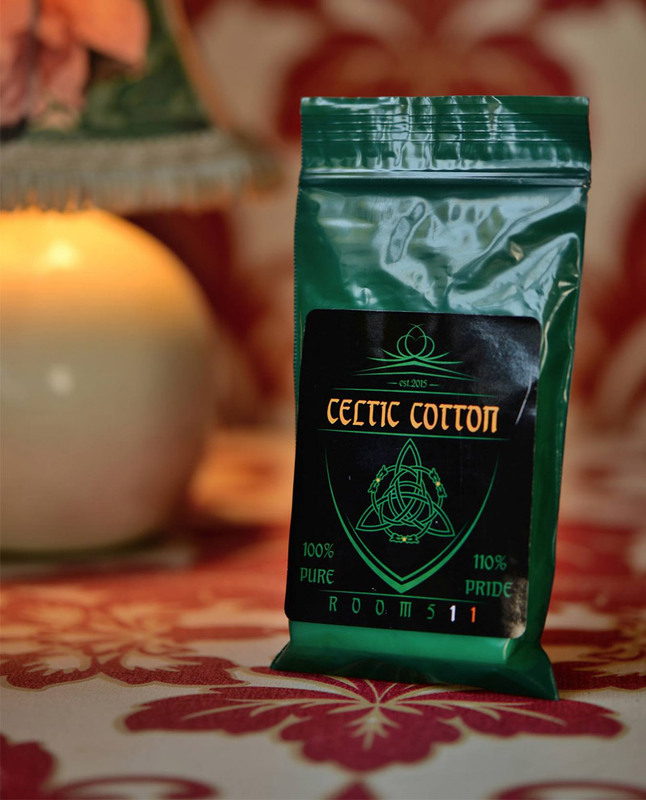 Celtic Cotton is 100% Pure Organic Cotton that is sourced from Ireland. 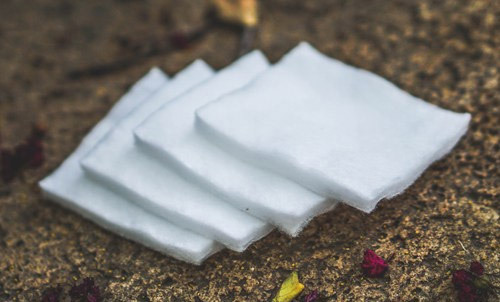 It’s supplied in individual packets with five pads per pack, and Celtic Cotton has no synthetic sides and nothing to peel off before first usage. There is no need to boil Celtic Cotton before you begin using it, and as there is nothing to peel off before you begin using it, you can simply take it out the packet and crack on with it straight away. It’s very easy to simply tear off your desired strips of cotton and wick your atties up, in the main I’ve not even needed to use scissors to cut it down to size. Ideal when out and about and needing an emergency wick change! It can be rolled and manipulated easily in the palm of your hand as well.